How to help your clients win the "longevity lotto"
Economics professor Keith Bender states that a top secret to having a happy retirement includes "buying yourself income." Any reliable structure needs to have a solid foundation to withstand the test of time. As financial professionals, advice is regularly given to clients about the essentials of having a strong foundation for their savings and investments during the accumulation phase of life. This is very good advice. But what happens when it’s time to de-cumulate and convert those assets into a livable, long-term lifetime income? Years ago, the “traditional” company pension plan paid out a set amount of monthly income to retirees, typically for the remainder of their life. That, along with income from Social Security, were usually enough to cover living expenses. Any funds from personal savings or investments could then be used to pay for the “extras” like vacations and golf outings. Fast forward to today. Retirement looks much different, at least in terms of income. Gone are many of the defined benefit pension plans that large corporations previously offered. The security of knowing that fixed living expenses are covered is also gone. Coupled with increased life expectancy, meaning that income is not only unpredictable, but must also last for a much longer period of time, this is causing a significant amount of stress for today’s — and tomorrow’s — retirees. Instead, many individuals and couples who are approaching retirement will have to rely on their own savings efforts to get them by in the future. That has led to one of the biggest fears of retirees and pre-retirees today: that of outliving their money. The good news is that one create guaranteed lifetime income — a “personal pension” of sorts — that can not only eliminate the fear of outliving income in retirement, but can also allow the use of other assets for growth to help keep pace with future inflation. This can be done by (1) “buying” the necessary income through the purchase of an immediate fixed annuity; and (2) using the remainder of the portfolio to place funds into more growth-oriented assets that will help to keep pace with inflation. By creating this guaranteed “income floor” and ensuring that essential living expenses are covered, retirees can not only become much more financially confident; they can also become happier overall. Over the past decade, studies have been conducted on how having a guaranteed lifetime income stream can affect one’s life. For example, economics professor Keith Bender at the University of Wisconsin-Milwaukee, known for his work in the emerging field of “happiness research,” states that a top secret to having a happy retirement includes “buying yourself income.” He adds the sense of security that seniors get from having a guaranteed and predictable income can dramatically improve their lifestyle and happiness in retirement. 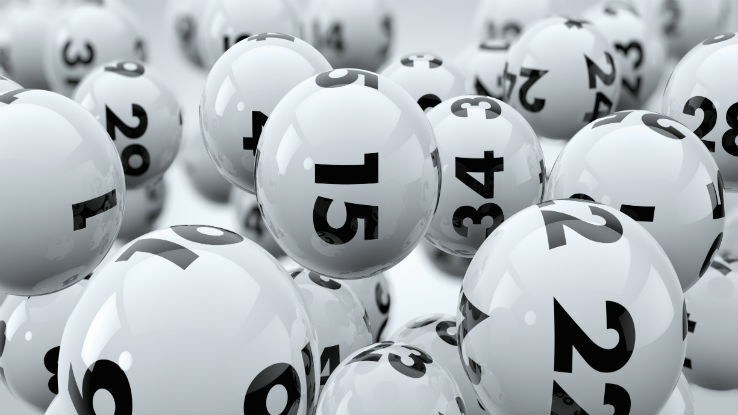 With that in mind, could the purchase of an annuity be the ticket to winning the guaranteed lifetime income lottery? When constructing a guaranteed lifetime income plan, it is important to consider all aspects of the client’s situation, including who will be relying on the income stream and for how long. For example, when working with a couple, while a life-only annuity payout option may produce the highest monthly income amount, it could also leave a survivor with a significant income loss at the death of his or her spouse. This could, in turn, lead to drastic lifestyle changes if not accounted for. Also, be sure to understand what the ramifications are if the annuitant passes away unexpectedly before accessing the annuity’s income. For example, is there a death benefit option for a named beneficiary? Or can a beneficiary have access to an income stream from the deposited funds? The beauty of using non-qualified annuities is that there are no specific IRS limitations on the amount of money that can be contributed by their owners. In addition, unlike a traditional IRA account, individuals are not required to start taking withdrawals until an age that is set in the contract — usually 85 or 90 — as versus 70 1/2 with the IRA. This can make a significant difference for many of those clients who opt to wait on their income withdrawals. In any case, it is important that you, the advisor, take time to review the annuity contract, its prospectus, fees, surrender charges, and other sales materials before moving forward to ensure that it is the proper fit for the client. Also, be sure to check the financial strength rating of the underlying insurer before recommending a purchase decision.